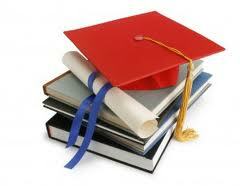 Education in Uttar Pradesh, Uttar Pradesh Higher Secondary Education, Uttar Pradesh Education. Uttar Pradesh is the state where you will be able to get Sanskrit based education system. This type of education system was followed during Gupta period. Uttar Pradesh is a specific state which will bless you with Vedic learning. Education in Uttar Pradesh has become a blessing for many people who have become a great leader in the field of Sanskrit. Pali was also followed in this region of India. The state is also known as a store for getting Persian as well as Arabian learning. Education in Uttar Pradesh is also quite influenced by Hindu and Buddhism. The state has also suffered a lot when the nation was under British power. The British wish to include the advancement that is been followed in European nation. There was a real turning point in education system due to the efforts of Pandit Madan Mohan, the great educationist of the particular place. There was a great dynamism with regards to education system of Uttar Pradesh. You will be able to see a good number of colleges as well as universities in the particular state. Most of the primary schools of Uttar Pradesh have got its affiliation to Uttar Pradesh Madhyamik Shiksha Parishad. You can also call it as UP board. Education in Uttar Pradesh has become really wonderful when the primary eduaction have been made compulsory for a all the students till 14 years of age. There are schools where the medium of education was only Hindi. Generally the schools under Hindi medium are affiliated to Central Bord of Secondary examination. Again, Education in Uttar Pradesh have got an influence of English medium when the board is known as ICSE. There are many schools and colleges that have a strict regulation to adopt a quality in higher standard. There are many research institutes, collegse as well as univesrity that are run exclusively under the central government. Even the baords that are owned by private body have a great stanbdard of education in the higher standard.